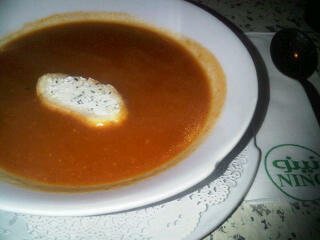 Nino has one of the best tomato soups in Kuwait, and it’s the most wonderful dish to have in this slightly coldish weather. Is that thing floating in the soap is he SPONGE BOB ……. ?